The late Sir Sigmund Sternberg and the late Sheik Zaki Badawi, I am sure, would have welcomed this new name for the organization we co-founded. All three of us were involved in a variety of interfaith organisations. But we felt at the time a particular need to engage the Muslim community more fully in interfaith work. This included Zaki Badawi asking me to lecture on Christianity to students at his Muslim College who were training to be imams. Aware of troubling stories about owning Christian scriptures in Pakistan, I hesitatingly asked him if I could give the students Bibles – and the College responded by offering to pay for them! I wonder how many Christian seminaries give their students copies of the Qur’an or the Bhagavad Gita? The change of name reflects an interesting change in the meaning attached to the word ‘faith.’ When he founded the World Congress of Faiths, Francis Younghusband deliberately chose the word ‘faith’ rather than religion because he wanted to emphasise that WCF is a fellowship of individuals, not representatives of particular religions. Today, however, we talk of ‘faith communities’ – and faith often becomes a badge of identity, often indicating what we should wear, what we should eat, or not eat, and whom we should marry. This means that interfaith work needs to include bringing members of different communities together. It happens in many ways – visiting places of worship, greeting each other on our respective festivals, meeting and talking and, of course, eating with people of other faiths. This cultural work is central in the activities of most interfaith groups. Not everyone wants to discuss religion. Meals, music, and sports help bring people together. The Pontamina Interreligious Choir (Pontamina means ‘spiritual bridge’) started 20 years ago and has emerged as one of the most important actors in interreligious peacemaking in Bosnia-Herzegovina. Sport is also important. In Israel one peace group gathered Israeli and Palestinian youngsters together to play football, dividing them up so that each team was half Israeli and half Palestinian. Pope Francis is promoting youth sports leagues throughout Europe, which includes sponsoring Vatican teams. Perhaps the word ‘faith’ itself is too exclusive? Any attempt to engage with the whole community needs to involve, humanists, agnostics, secularists, and atheists. Would all these describe themselves as ‘believers’? Then there are those who call themselves ‘spiritual and not religious.’ Some who are inspired by the mystics prefer to talk of ‘interspirituality’ – a dimension that interfaith cannot afford to lose. Perhaps the student-led conference in July being arranged by the World Congress of Faiths will bring more clarity. Their theme: “Interfaith Practice: Current Research and Future Action.” As we think about the future of the interfaith movement (or should it be ‘movements’? ), it is critical for groups to be clear about their purpose and particular contribution to a better world, and also to be collaborative with other groups. The work is too important to waste resources. This is why, as Phil Champain makes clear, we must work together. “We want to help erode the impact of persistent and interconnected ‘dividers,’ which include rising economic inequality, divisions along faith and cultural lines, and the separation being created as society changes how it engages and connects,” he says. We believe in an inclusive society where people of different faiths and beliefs have strong and positive relations. We believe that intolerance has no place in our communities or workplaces, and that diversity adds value to our society. By connecting people of different faiths and beliefs, we can create a society which is fair to people of all backgrounds – religious and non-religious. We encourage people to engage more across differences and learn to understand each other better. We recognise the need to create a more open conversation about faith and belief in our communities and in all of the UK. We will have these conversations in a spirit of mutual respect and curiosity, and be open to different perspectives. 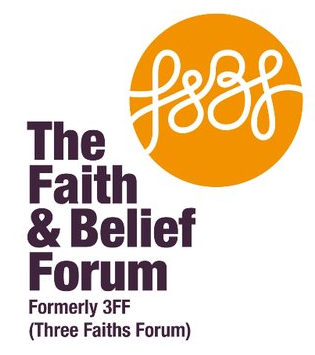 The Forum is inviting organisations across the UK to commit to working together in a spirit of partnership, and to promote good relations between people of different faiths and beliefs in communities, workplaces, and online. You too can endorse the Charter here. I hope that the “Reimagining Interfaiths” gathering in Washington DC this July and the Parliament of World Religions in Toronto in November will encourage a similar spirit of partnership.